Home | World | Africa | Robert Mugabe writing a book? 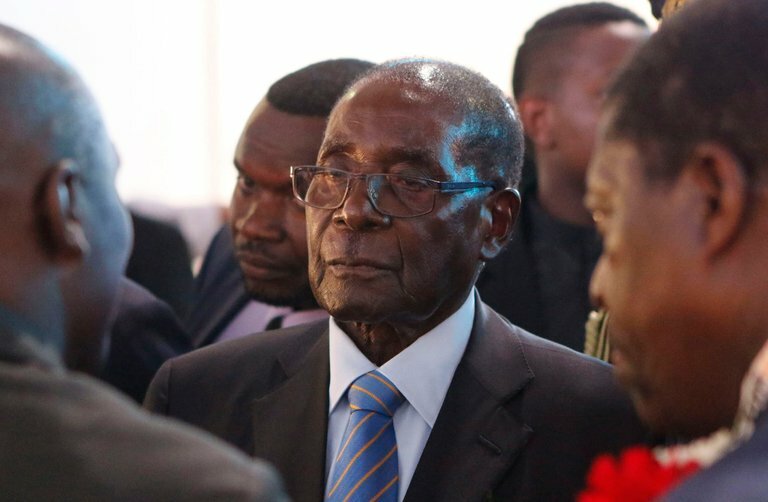 Former President of Zimbabwe Robert Mugabe might be writing a book to record his memoirs after being ousted from power in a bloody coup that ended 37 years of his rule. The revelations were made by veteran journalist Mduduzi Mathuthu on Twitter who said, "Robert Mugabe IS writing a book. Kunjalo." Mathuthu is the one who first broke the news that Professor Jonathan Moyo is writing a book before Professor Moyo confirmed it later on Twitter. Recently Former Deputy Prime Minister Authur Mutambara lamented that Robert Mugabe is about to die without writing a book so that people can read history from his lenses and under standing. Commenting on Mathuthu's post one Chenhamo Mutengure said , "Finally we get to read real history from the history maker who was there every step of the way.Not zvana Nyarota,Mtambara naRay." Businessman Ali Naka questioned whether Mugabe is capable of writing a book at his age. Many liberation struggle heroes in Zimbabwe have died without penning memoirs excluding Joshua Nkomo and Edgar Tekere. In 2014 former National University of Science and Technology lecturer, Dumiso Gilbert Matshazi, said he chickened out of writing the late Home Affairs and Defence Minister Enos Nkala's book after realizing that what the veteran politician wanted to reveal about President Robert Mugabe and others was too hot to handle. Matshazi said Nkala, who was a founding member of the ruling party ZanuPF tasked him to publish the book after his death. In a hard-hitting press statement announcing plans to write his memoirs, the Nkala then said,"I want to remind His Excellency that I am not among those who die many times before their actual death. I am a son of heroes and a self-made hero and have just completed 74 years of my life with a greater part of it spent in Ian Smith's prisons and detention camps for the liberation of my country." Zimbabweans on social media said they are waiting anxiously for the said Mugabe's book should Mathuthu's statement be true.